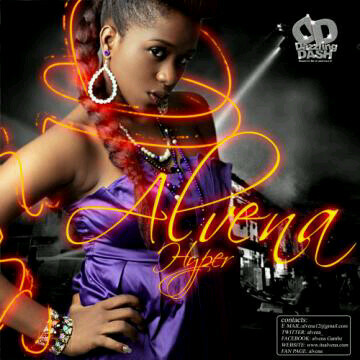 Alvena the next big thing! She has always had passions for music so don’t ask when she started because according to her she has being lyrically alive since she knew herself. This rising diva represents dazzling dash, a new entertainment label coming to take over. This artist is a song writer and singer she recently completed here first video for her new single tilted hyper’ due to be released by 16 September 2011 what makes her so special? Besides from being an artist she is a certified stepper an x cheerleader in her university Nilai international university in Malaysia where she is currently based from her performance in front of the camera you would definitely want to watch out for her video. You don’t want to miss out on this diva follow this rising STAR on twitter: @alvena_ and for booking contact her management: DazzlingDash@ymail.com and for more information like her fan page on facebook alvena. Download the track and get hyper!